Let’s brace for threats of cancer. The Ministry of Public Health has recently announced that cancer causes the most mortality among Thai people, compared with other diseases. In fact, cancer can be detected and cured at early stages. Then, annual health check-up is recommended for all, especially for those with high-risk factors. Nowadays, such health screenings are easy and do not take much time. This will definitely let you better keep track of your health. Take just a few steps to stay healthy in the long run. Let’s start taking care of yourself today. With love and care from Bangkok Hospital Phuket. How to know you have cancer? Over the past years, we have heard that some well-known people succumbed to death as a result from cancer, which is very common among other diseases. 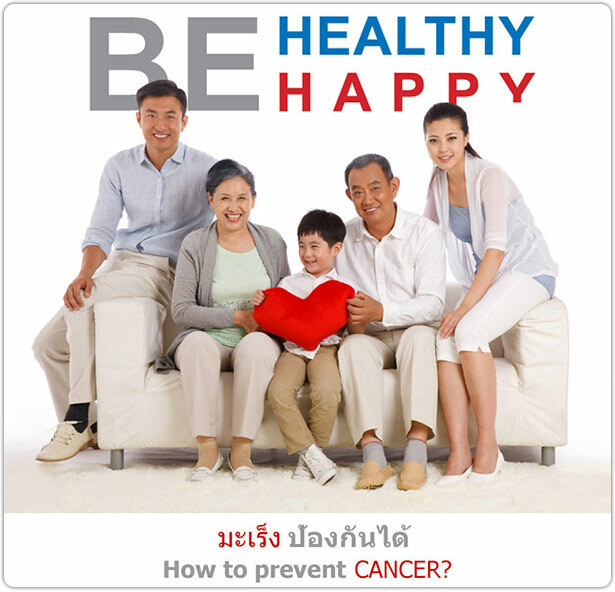 For more than a decade, cancer has caused the most mortality among Thai people, and it keeps on the rise. Most patients have cancer unknowingly, particularly among those without regular check-ups. They will detect cancer only when some abnormalities occur. According to the Public Health Ministry’s statistics, an average of 60,000 people succumb to cancer-related death yearly. Colorectal cancer accounts for the most mortality among men (16.2%), while breast cancer accounts for the most mortality among women (37.5%). World studies found that over 60% of cancer diseases can be prevented, both by vaccination for some types and by other advanced diagnostic techniques. They prove to be diverse nowadays, for example, digital mammogram for breast cancer (far more effective than conventional mammogram). High-risk people include those aged over 35, having cancer-stricken relatives, or having such physical abnormalities as body lumps, abnormal defecation, growing moles or warts. Then, annual health check-up is highly recommended and is vital for a further medical diagnosis. Being detected at an early stage means cancer does not expand as yet and is in range of effective treatment and complete healing. What are the most deadly types of cancer among Thai people? The service centers are Bangkok-Phuket Oncology Center and Bangkok-Phuket Colorectal Disease Institute.